Our aim is you enjoy your Pyrenees experience. And it can be different depending on your riding type and skills. We offer some supplements, but it is possible to include other services (access thermoludic center, tasting of local products, park access animal park of the Pyrenees, …), do not hesitate to contact us. We can also plan a trip for accompanying persons who do not ride. For groups of 4 people minimum (clubs, works councils, …), we can offer a trip “à la carte”, on another date or even a privatization of the trip. In short, we know how to adapt to your desires, and to be honest, it is what we prefer, so do not hesitate to contact us, we will make you a proposal in the shortest possible time. CULINARY In the Pyrenees, we like to practice cycling and hiking through our spectacular mountains with an impressive nature, but we also like to eat and drink. In fact, only the local gastronomy is reason enough to spend your holidays here and take a Pyrenees Cycling Tours. TOURISM Still preserved from mass tourism, Pyrenees are fascinating because of their authenticity to discover with cycling. We are fortunate to live in an exceptionally rich region composed of large mountains (Col du Tourmalet), small typical villages, famous Top Occitanie Sites and other UNESCO World Heritage sites such as the Cirque de Gavarnie at the foot of the Pyrenees National Park. CULTURE South-west of France welcoming is not a legend. Here people are just proud to welcome other people and share their beautiful mountains with an unrivalled conviviality. We do not break the rules, we just try to be ourselves, and our first desire is that you spend an unforgettable time with us enjoying the Pyrenees Cycling Tours. 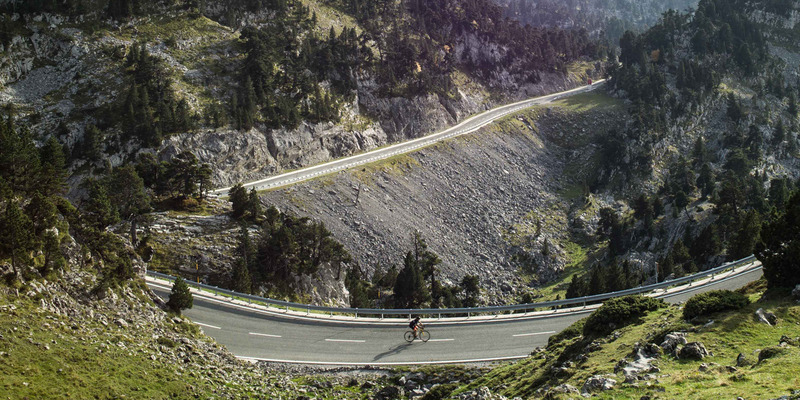 CYCLING A truly spectacular landscape composed of stunning and untouched nature as the backdrop where you will find the majestic and mythical mountain passes, cycling in the Pyrenees can prove to be an unparalleled riding experience. Don’t forged that part of the history of the Tour de France was made here, in some legendary cols such as Tourmalet, Aubisque or Hautacam … and now you can enjoy with our guided Pyrenees Cycling Tours.